On this second day of guest room posts, I thought I’d share how we made this cute wall art. Apologies for the camera phone photo. What was with that weird oxidized gold on the frames? And, I’m sure some people like these boring drawings of some countryside, but I wanted something with a little more color, and perhaps some personal meaning. Still, I had to buy these when I saw them at the thrift shop for 50% off. They rang up a cool $1.45 a piece. I try to get most of my frames at the thrift store now. You can usually find good ones for pretty cheap, and most of the time, all they need is some Windex and a couple coats of spray paint to fix them right up. That’s what we did here. I took the frames apart, gave them a good cleaning, and Dan sprayed 2 thin coats of gold spray paint on them. 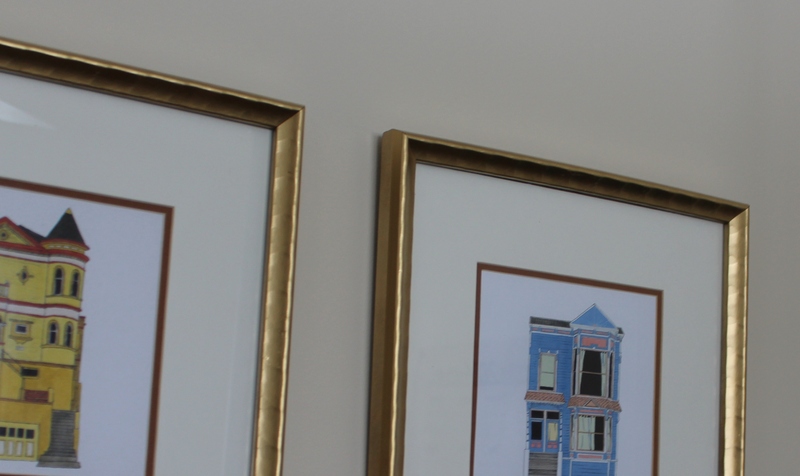 I’m loving the gold on the frames matches the other gold tones in the room. As for the drawings, I just looked around on Pinterest until I found these cute little houses. 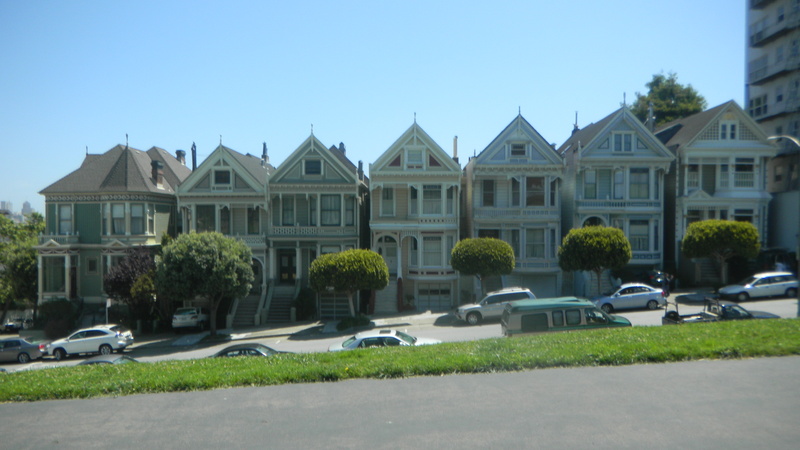 They look like the painted ladies that Dan and I visited while in San Francisco for our 1 year wedding anniversary. 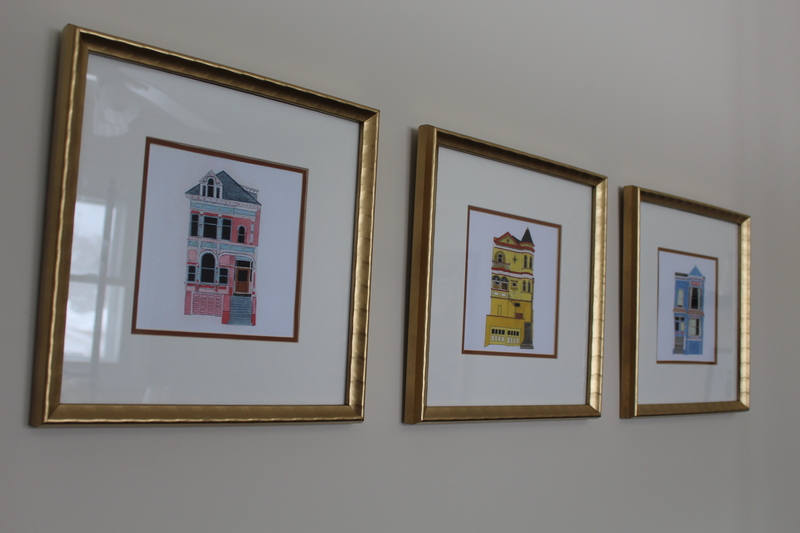 We thought they were a fun reminder of the trip, and drawings of other houses were cute for a guest room. 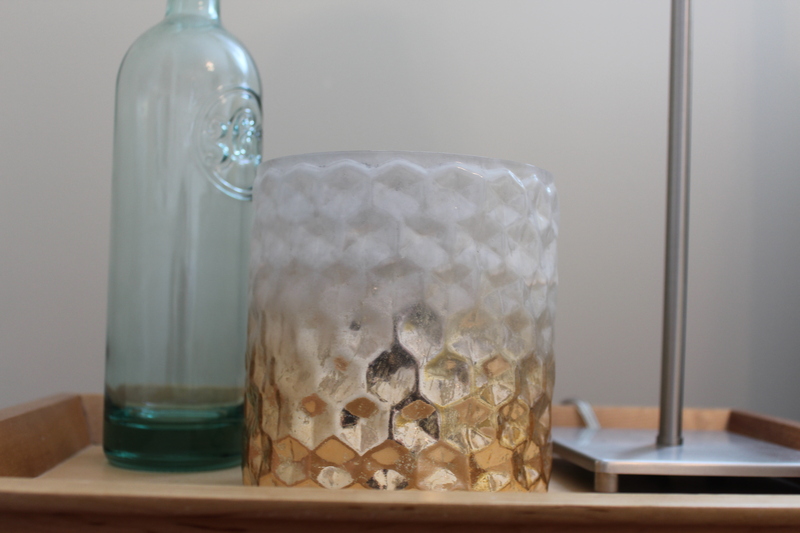 I like the way the stamping on the frames plays off the hexagon stamping of the candleholder on the nightstand. 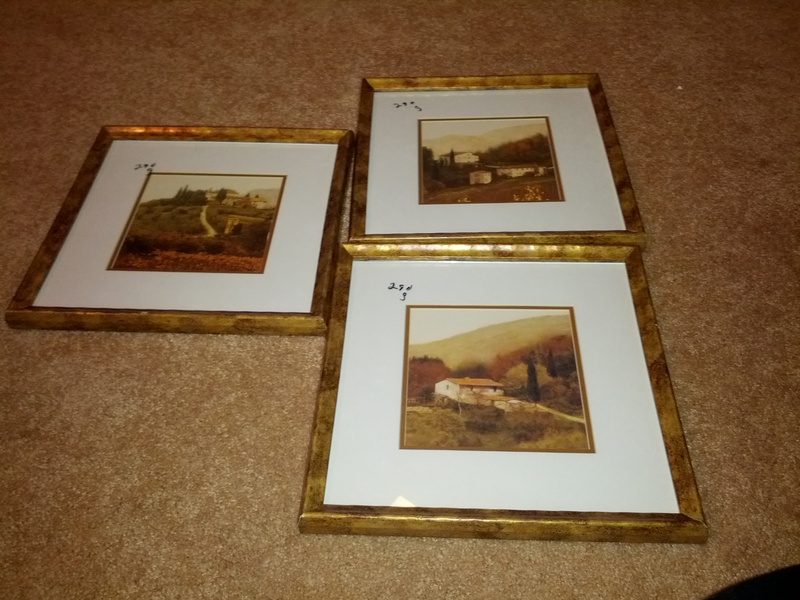 Total project cost: $4.35 for the frames, $0 for the drawings, and $0 for the gold spray paint (we had it already). I’m telling you – hit the thrift store for frames. Worth it.